Why should those with pierced ears have all the fun! 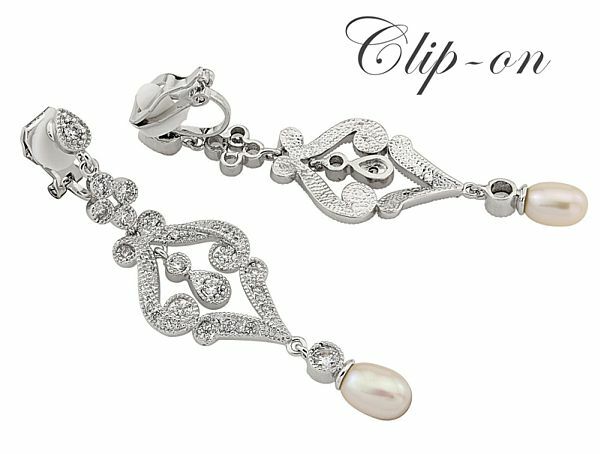 Stunning vintage-style earrings with paved cubic zirconia crystals and freshwater pearls on a rhodium plated finish. Length approx 5cm/2” long.